How many donors do you not get because of your website? How much revenue are you losing because of your website? You probably don’t know, it’s not the easiest thing to figure out, but a small increase in your conversion rate can have a pretty big (and often unseen) impact on your online fundraising. For example, if your landing page had 500 visitors and the average donation amount was $100, a conversion rate of 10% would result in 50 donors and $5,000. Keeping all other variables the same, a conversion rate of 15% will yield 75 donors and $7,500. Or an increase of 50% with just a 5% change in conversion rate (you can play with some numbers in this sheet here if you like). That’s a short and simplistic explanation of online fundraising and conversion rates, but hopefully you can see the opportunity and bottom line results of a great, donor focused donation experience. The good folks at KISS Metrics had a great post titled The Psychological Trigger That’s Confusing Your Customers (and What to Do about It) where they discuss cognitive biases, their impact on conversions and how to work with them. The advice is great for donation pages as well (if you read the article, just swap “donor” for “customer”). 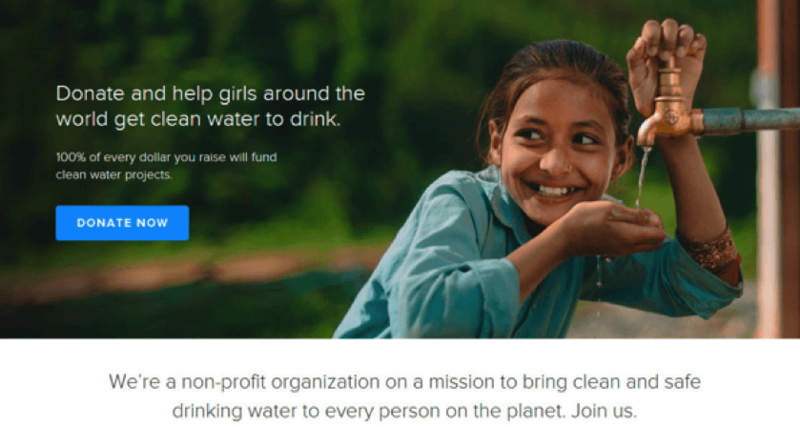 The post is a bit design heavy, but even without big budgets or fancy designers, the principles are great and can apply to any charity and website. For example, here’s two areas you can probably improve in right away without a ton of investment. … when we’re presented with too many options, our brain’s default solution is to not choose. (Have you ever skipped answering a few emails just because you weren’t sure how to answer them?) This particular cognitive bias is commonly referred to as analysis paralysis. If you are bombarding your supporters with too many options, they may just take off because it’s all too much. Simplify your asks as well as the flow. When visitors arrive on your landing page, they need direction. Do not assume that people will just read all your content and know what they need to do next. Using spacing, visuals and limited copy, you can help show donors where to go and guide them to a great experience in supporting your cause. In your fundraising and communications, you want your donors to have a great experience with you so they feel good, give and give again. Don’t forget about your online donation experience as a poor landing page and website can be costing you money and donors. And you may not even know it.